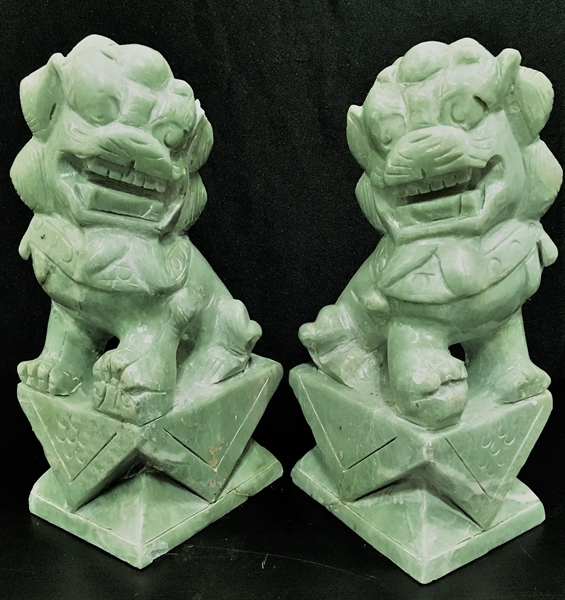 Wide: 3.5", Deep: 5.5", High: 10"
This pair of foodogs is made from solid piece of green jade. Foodog is the ancient lion. They come in a pair, a male and female. The male is stepping on a ball and the female is stepping on a little lion on the foot. They are being used today as book-ends, decoration arts or out side of the front door if they are 20" and up. 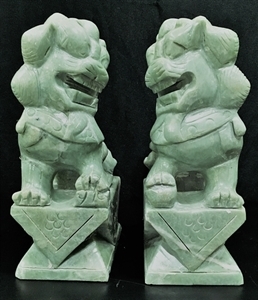 They are believed to protect you and the family, keep bad things away. Believe it or not.